Angel Aspirations, your guardian angel, has developed a revolutionary product that will enable to you better protect the ones you love. These concealable emergency panic buttons fit seamlessly into any part of your life - ensuring that you are able to reach out for help when you need it most. Your family members and pre-saved contacts will be instantly alerted with your GPS location as well as any additional information you have preloaded – such as your medical aid details, any allergies you have as well as a customisable message alerting them to any additional details that they need to be aware of (such as your blood group). Make sure your emergency contacts receive this valuable information which will save time in the event of an emergency. A small and compact personal emergency panic button that can be easily concealed and carried around with you. The GSM/GPS unit acts independently and doesn’t require pairing with a cell phone to send out alerts – it also has a 3-year battery life and doesn’t require charging. 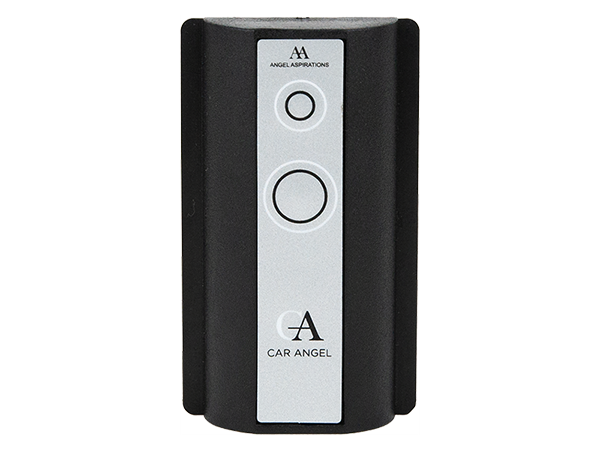 Car Angel is easily fitted into the windscreen of your vehicle and will automatically and instantly send out an emergency alert on impact – in the case of an accident. This small non-invasive device is easy to install, solar powered and doesn’t require any Bluetooth pairing! Protect the ones you love for as little as R899 once-off (per device) plus a R99 monthly Angel Aspirations subscription fee. Don’t be caught unprepared in an emergency.